How to Strengthen Knees for Basketball: Avoid an ACL Injury This Season! This work, "How To Strengthen Knees For Basketball", is a derivative of "﻿P﻿﻿aul Pie﻿﻿rce Injury﻿" by Keith Allison , used under ﻿CC BY﻿. If you want to prolong your career for as long as possible it is very important to learn how to strengthen your knees for basketball. In fact, there are many other factors beyond strength that can impact the health of your knee joints over your basketball career. Building not only absolute strength but also stability, power and mobility around the knee joint can greatly reduce the chance of injuring your knee while playing basketball. Of course there are many potential ways to injure your knees while playing basketball. Some are unavoidable. However, in the following article I am going to show you how to best care for your knees this basketball season, and hopefully for many more to come. Why Do NBA Players Ice Their Knees? Often ballers will complain of knee pain when jumping or landing. Others may complain of knee pain after basketball training or games. If you are experiencing any of these painful symptoms it is likely that you have one or more of the following 4 most common knee injuries that basketball players sustain. Sprains & Strains - damage to the tendons and ligaments that connect and support the knee joint. Meniscal Tears - damage to the rubbery protective layers that line the inside of the knee joint. 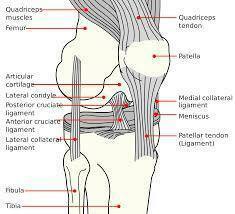 ACL, MCL and LCL Ruptures- A complete tear of one of the supporting ligaments of the knee. Patella Tendonitis- inflammation and damage to the tendon that attaches your knee cap to your shin bone and quadriceps tendon. Some of these common knee injuries experienced on the court can be easily rehabilitated with light rest and recovery exercises. However, there are more brutal knee injuries such a the dreaded ACL tear that has destroyed the careers of many prominent basketball players. Are You Worried About Sustaining an ACL tear? If you are concerned about the possibility of sustaining a career ending ACL tear you should definitely check out this ﻿helpful﻿ information on deceleration training . This style of training has been shown to greatly decrease the likelihood of athletes sustaining ACL injuries. Research has shown that stability exercises can lead to improved nuero-musclar function and balance while preventing knee injuries in athletes. Stabilization training for basketball should target the muscles that act on the knee joint plus also challenge core, hip and ankle stability. Stability training is a great way to identify any muscle weaknesses and imbalances. Stabilization exercises should be performed at a low intensity/ low relative load with focus on correct form and muscle activation throughout a safe range of motion. Over time, the athlete should aim to increase range of motion before adding load or volume to the exercises. Be sure to challenge the stabilizing muscles of the knee used in flexion, extension and rotation of the knee joint. Uni-lateral exercises are a great way to build muscle stabilization around the knee joint required to help prevent injuries in basketball. Once you have built a stable muscular foundation, your muscles should be firing in the correct patterns with no obviously muscle imbalances. Now it is time to move onto strengthening exercises that will help to provide further stability while also reducing the forces sustained through the knee joint when jumping and landing. The more active and strong muscles you have surrounding the hip, ankle and knee joint the more of the force of impact they will absorb. If you want to gain some serious strength it is always best to follow a ﻿﻿proven﻿﻿ ﻿﻿﻿periodi﻿z﻿ed ﻿﻿﻿﻿weight﻿ training plan for basketball. Correctly prescribed strength training for basketball can not only help reduce your risk of knee injury but also help you jump higher and physically dominate on the court. 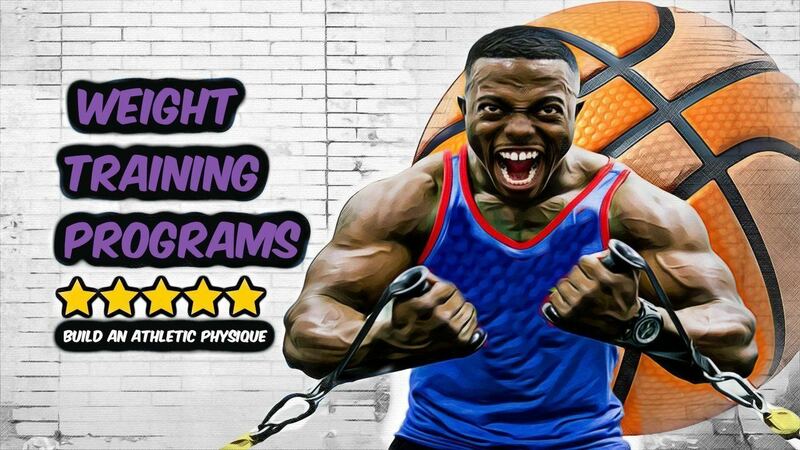 We recently reviewed 3 of the best strength training programs for baller's. These programs have helped hundreds of athletes achieve a lean and muscular athletic physique with the performance to match. If you want to get strong this season then you should definitely check out these brilliant programs. Studies have determined that a combination of stability, strength and power training can reduce incidence of knee injury in athletes. In fact, a 2005 study by the "Journal Of Knee Surgery" discovered that plyometric power can improve knee strength and decrease the risk of a knee injury while while playing sports like basketball. Plyometric power exercises load the knee join in a controlled manner. The knee joint and surrounding muscles and tendons then adapt to these exercises. After following a an ﻿effective plyometric exercise program the muscles and tendons become much more reactive, meaning that they activate to their full potential at a faster rate. This activation of the supporting structures of the knees provides reinforcement while you are cutting, jumping and slashing while playing basketball. Warning: Plyometric exercise can be dangerous when performed in an uncontrolled manner. We suggest hiring a qualified personal trainer who has experience prescribing periodised plyometric exercises. Alternatively, you could follow a proven online plyometric program such as the super popular Vert Shock program. Vert Shock is designed to help you jump higher but can help strengthen the knees for basketball when followed correctly. Did You Know? 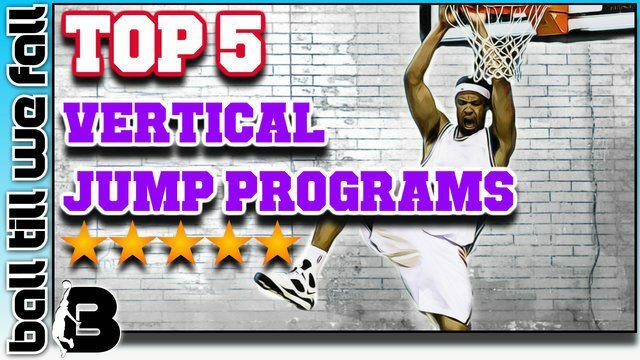 Vert Shock was rated #1 in our roundup of the Best Vertical Jump Programs Of The Year. 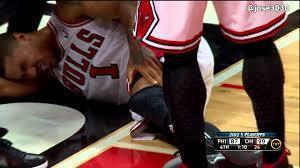 We often get asked "why do NBA players ice their knees". Basically, NBA athletes ice their knees to help reduce the amount of blood flow to the knee joint and therefor reduce inflammation. Inflammation may lead to further damage around the joint and also contribute to the knee pain often experienced after playing basketball. Icing the knees after playing basketball can act as a pain killer and provide relief to aching joints, muscles and tendons surrounding the knee cap. Personally, I have struggled with "jumpers knee" (patella tendonitis). I have found that icing my knees after basketball provides great relief from knee pain in the area. You may also see NBA players using HEAT therapy. It is best to apply heat before a game to warm up the muscles and ice after a game for the reasons I previously mentioned. Ice compression knee wraps offer a comfortable and convenient solution for icing your knees down after playing basketball. We love the Shock Doctor Ice Recovery Compression Knee Wrap as it offers the most complete icing solution available. Best yet this device can be used for both ICE AND HEAT THERAPY! I hope that you have found this information helpful in educating you on the options and techniques you have available to strengthen your knees for basketball. If you are currently experiencing sever knee pain during or after basketball be sure to visit a physiotherapist for medical diagnosis and treatment. If you currently have healthy knees and would like to keep them that way be sure to check out these helpful resources below.